Have you been affected by cancer or another health condition? 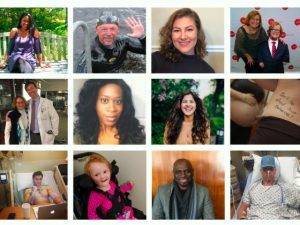 Sign up to share your experiences with Health Stories Project! Before the 1980’s the definition of a “cancer survivor” was someone who had shown no evidence of cancer for five years. But groups like the National Coalition for Cancer Survivorship (NCCS) recognized the need “for language that truly told the story of life after a cancer diagnosis.” After all, life does not end at diagnosis and stories about the challenges that those with a history of cancer face need to be told. With National Cancer Survivor’s Day a little less than a month away, we thought we’d celebrate cancer survivors who are doing great work sharing their stories and staying true to the goal the NCCS made so long ago. These individuals are truly survivors – serving as inspiration and support for everyone with or without a diagnosis. It has been 12 years since Linnea Olson was diagnosed with lung cancer. She was never a smoker, so when she started experiencing coughing and shortness of breath, lung cancer was the last thing on her mind. After diagnosis, she learned that the 5 year survival rate for her cancer was a mere 15%. Linea had very little hope until she was given another chance at life through a clinical trial. She’s been documenting the process ever since. He was given 3 months to live at just 13 years old, but somehow Sean Swarner managed to defy all odds. Sean has become the longest living survivor of Askin’s sarcoma and he’s working hard to spread his mission of hope to others who have been given an impossible diagnosis. Since his first fatal diagnosis, Sean has been setting and meeting other “impossible” goals. He was the first cancer survivor to stand on top of Mt. Everest and recently he brought a flag of hope to the North Pole. These 7 individuals are truly cancer survivors – serving as inspiration for everyone with or without a diagnosis. While breast and prostate cancers are more common, lung cancer is the leading cause of cancer death among both men and women. Diagnosed with lung cancer in 2011, Janet Freeman-Daily has been working hard to change the way we see and think about this type of cancer. Diagnosed with invasive breast cancer in 2009 and metastatic cancer in 2011, Ann Silberman chronicles her experiences in her humorous blog, Breast Cancer? But Doctor….I hate pink! 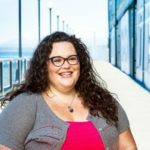 She covers everything about her breast cancer journey including experiences with mastectomy, chemotherapy, reconstructive surgeries, and what it’s like to live with a terminal disease. MRI fashion. Brain scan down, results soon! Did we miss a cancer survivor who inspires you? Leave their name in the comments below. I need advice. A friend of mine’s husband has cancer. His doctor decided they would attempt surgery once again and he was scheduled for it this week. My friend got a call today in which they told her that the insurance they had (something-care?) had expired and cannot be renewed as it was only “meant to be a bridge” until other insurance was acquired. Also, (I did not understand this) since “technically” they were covered under Medicare, they are not eligible to sign the form to pay in increments. She is supposed to come up with a $2700 deductible on the day of the surgery. They do not have it. Is there any financial counseling or help available for them? He will probably not last the month or so it would take to get the money. All of the money that the American Cancer Society collects from schools and businesses, there must be some help out there for them.